Forged high-carbon steel head. Jacketed design provides overstrike protection for long life and increased safety. Rim temper reduces incidences of chipping or spalling. 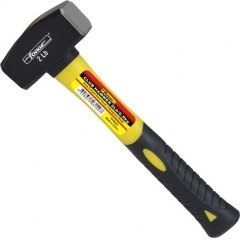 Fiberglass handle absorbs shock and vibration. High-visibility yellow is easy to locate quickly. 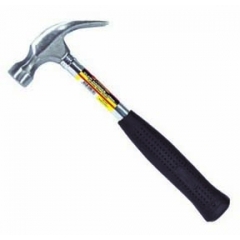 Curved Claw Wood Handle Nailing Hammer. 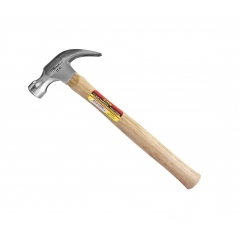 This tough hammer head is made of forged carbon steel and is ideal for a variety of professional and DIY applications. Rim temper reduces incidences of chipping or spalling. 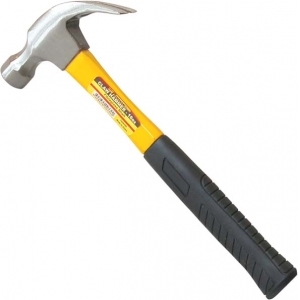 Forged high-carbon steel head for strength. Fully heat-treated and polished bell face. Curved claw with smooth face. 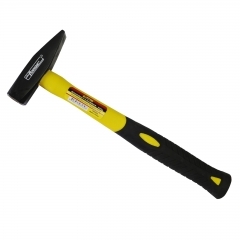 Ideal for striking unhardened metals. Minimizes vibration and shock. Exclusive rim temper reduces incidences of chipping or spalling. Slip-resistant handle for a secure grip and comfort. Precision balanced. Rubber head helps minimize marring and surface damage. 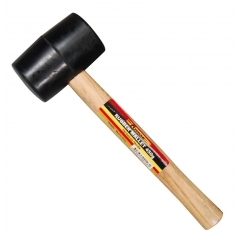 Tough rubber head molded to a wood handle. High-visibility comfort grip helps dampen vibrations and reduce slipping. Ergonomically balanced for efficient nail driving. 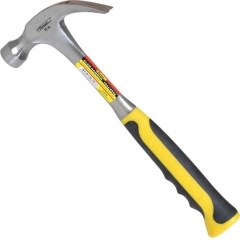 One-piece forged high carbon steel for strength and durability. Rim temper helps reduce instances of chipping or spalling. Tuning fork design reduces vibration and improves comfort. Forged, one-piece steel construction for strength and durability. Rim temper reduces incidences of chipping or spalling. Ergonomically designed grip reduces fatigue and allows for multiple grip positions. Texture is molded into each grip for comfort and performance even when wet.